Laughter is one of the greatest gifts you can receive. This vibrant check designs pays tribute to the colorful entertainers who devote their lives to being goofy and getting people to smile...even the grumpy ones! 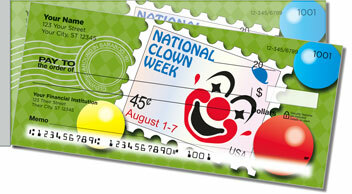 Inspired by National Clown Week - which is observed during the beginning of August - each check features an image of a different clown character. 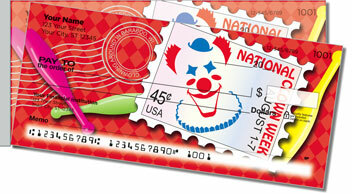 From pratfalls and juggling to magic tricks and silly songs, clowns work hard to make folks happy. 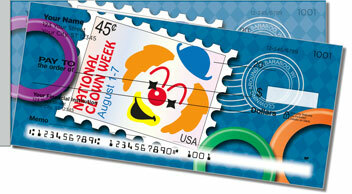 Celebrate the art of clowning with this original selection. The side-tear option is no joke. 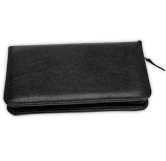 You'll find it's much easier to pull checks from the pad without the frustration of unwanted rips and wrinkles. 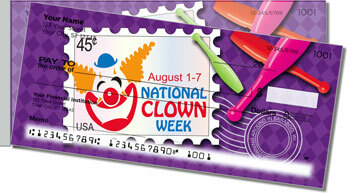 Get your very own National Clown Week Side Tear Checks now! Matching address labels are also available.